In the research and writing of Sevastopol’s Wars, I met a series of fascinating people, many of whose accounts appear in the book. Of particular note were the veterans of the Great Patriotic War, whom I interviewed at the beginning of the research phase. They were all keen to tell their stories to me. Without exception, all noted their good fortune in living to tell their tales, but equally they reflected on the fates of so many friends and family members they had lost in wartime Crimea and Sevastopol. For American and British readers it is profoundly hard to imagine the vast scale of the death and destruction that occurred on the territory of the former Soviet Union during the Second World War, and the generational sacrifice involved in the ultimate victory against Nazi Germany. It is estimated that between 26 and 29 millions died during this conflict. Sevastopol was devastated during its heroic defence against Axis forces in 1941–1942, and badly damaged again during its liberation by the Red Army in 1944. Its pre-war population of over 100,000 had been reduced to a few thousands. Aleksandr Romanovich Glushakov defended Sevastopol when a young naval cadet in 1941. One of Sevastopol’s early defenders in the autumn of 1941 was an eighteen-and-a-half-year-old naval cadet called Aleksandr Romanovich Glushakov. Over two interviews held in the city’s Veterans’ House (Dom veteranov) in 2011, he described his experiences to me. We fought hard and bravely, and such was the ferocity of the combat that we lost 70 per cent of our numbers over the four days from 31 October to 3 November. We were ordered to move back to the Mackenzie Heights, but the Germans were not able to penetrate as far as Sevastopol. Their advance was blocked. The Black Sea Fleet Command ordered our unit to be withdrawn from the front-line because of the very high casualties. We were returned to our schools with our teachers to study. We also provided patrols in Sevastopol, to ensure the black-out [air-raid precautions] and to help maintain order in the city. Only 300 of us were left alive. 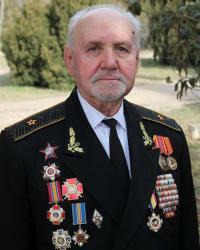 After a distinguished career, Glushakov retired as a captain (first rank) and still lives in Sevastopol as a most distinguished citizen. 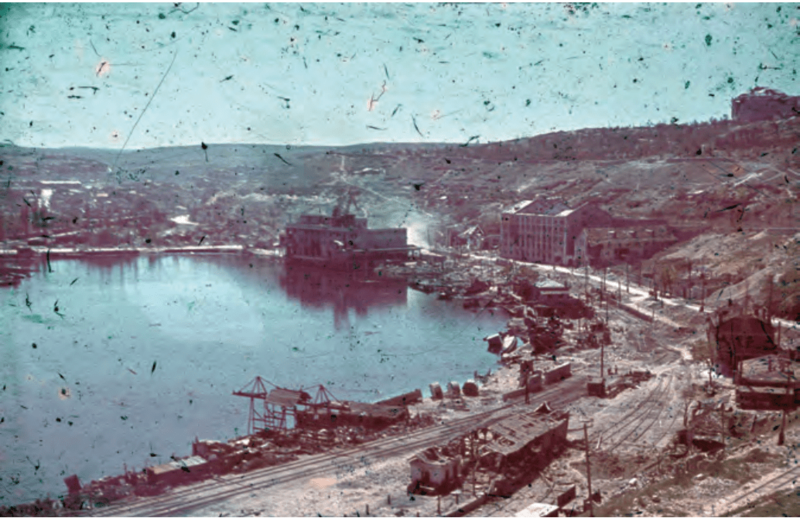 Other veterans were involved in the reconstruction of Sevastopol after the war. To meet the labour shortages, special construction ‘brigades’ of expert tradesmen, and those who had general skills in the building trade, were established. Mikhail Gregorievich Molenov, who came from the Penza oblast of the Volga region, was one of those called up as a twenty-two-year-old for such labour duty in 1949. As ‘one of approximately 30,000’, he recalled in December 2011, ‘I was brought to Sevastopol to work on its reconstruction’. As a civilian in a quasi-military organisation, he served four years in the city: his brigade worked primarily on the buildings near Sevastopol’s coastal promenade – the Primorsky Boulevard. The destroyed harbour of Sevastopol in July 1942 following its capture by German and Romanian forces. When I asked Molenov about the role of German prisoners of war during the reconstruction of Sevastopol, he replied that ‘there were still many about, working at clearing the city of its ruins, but they had not done so much rebuilding when we arrived – that was our job’. Molenov was particularly proud of one task: ‘As a mason’, he explained, ‘I helped reconstruct the commemorative white columns on Nakhimov Square, which we carved out of Inkerman stone’. Then he added quietly in a reverential tone, ‘every time I visit the hero-city and see the columns again, I remember those times, over sixty-five years ago. They were hard, at times very hard with not much food to eat and very long hours, but we were all honoured to play our part in rebuilding Sevastopol’. Mikhail Gregorievich Molenov died in Yalta in 2015. Sevastopol was a very active city; it was stable; [and] people believed in the future and trusted the Government. There were no indications of the impending catastrophe. In 1985 the Government changed. As a commander, I noticed the first signs of disturbing change in 1986. During the days of the 27th Congress of the Communist Party of the USSR, it was a custom that officers and enlisted personnel, the sailors, watched together the news on the TV programme Times at 9 o’clock in the evening. We heard Gorbachev, who spoke of perestroika and the awakening of national self- consciousness. The sailors asked me ‘what is Gorbachev talking about?’ That was the first signal of misfortune. If you wish to see more of such accounts, and to learn how Sevastopol was liberated in 1944, and how Crimea was re-annexed by Russia in 2014, then please order and read Sevastopol’s Wars: Crimea from Potemkin to Putin. Osprey is publishing the book in the United States on 18 April, and in the United Kingdom on 20 April 2017. The volume contains sixteen detailed colour maps, which depict the principal battles of the Crimean War and the major operations of the Second World War, and over eighty photographs of famous people and places associated with Crimea’s and Sevastopol’s fascinating and turbulent history.